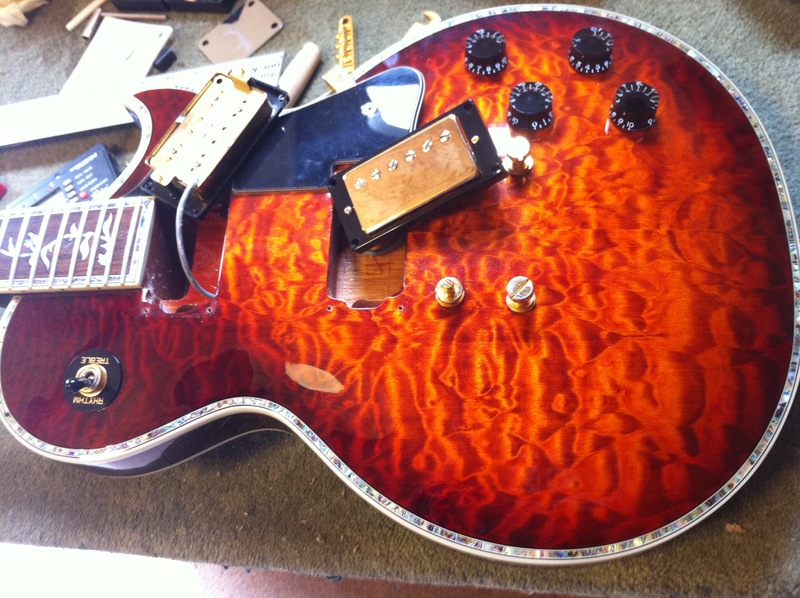 Quilted maple top with shell inlay around the side; sunburst finish; single cutaway body with set-in neck, with Tree Of Life inlay down the fingerboard. 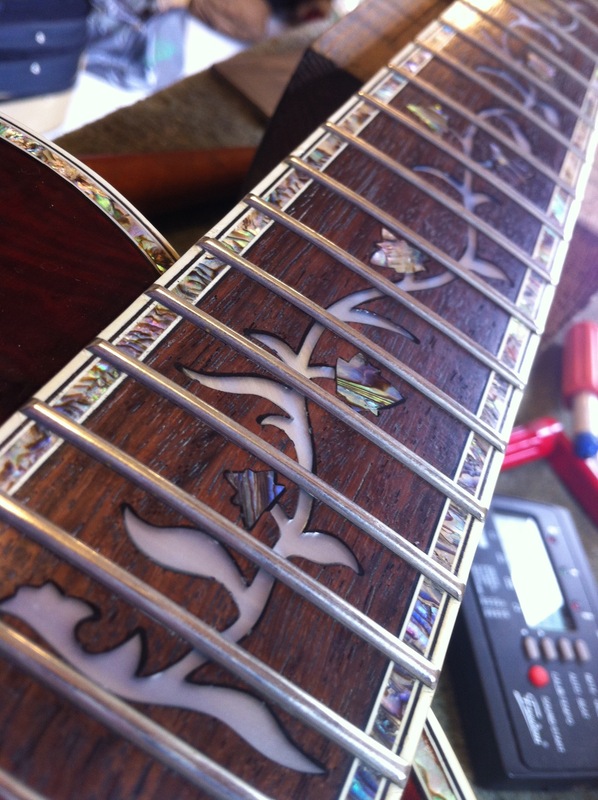 Black headstock with shell inlay on the side. 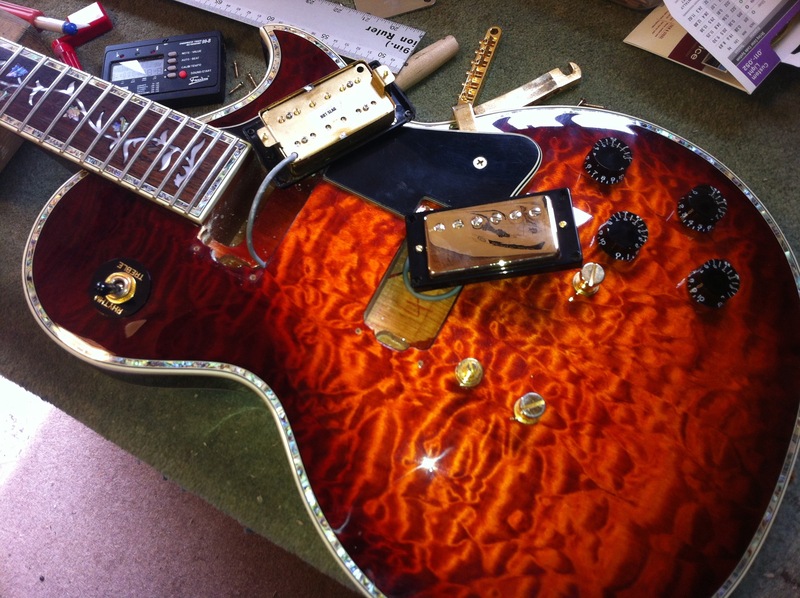 This particular guitar has been fitted with 2 Iron Gear ‘Hot Slag’ humbuckers. 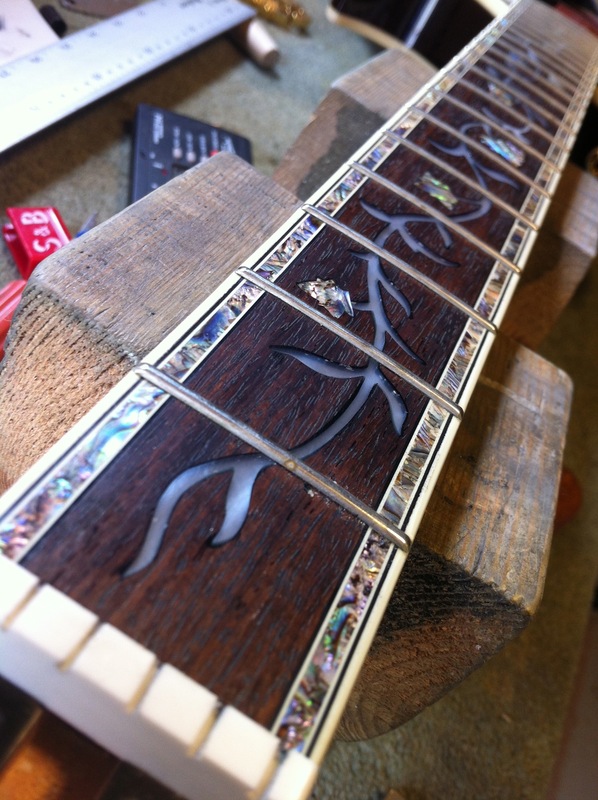 Excessive amounts of MOP (perloid) fingerboard inlay. 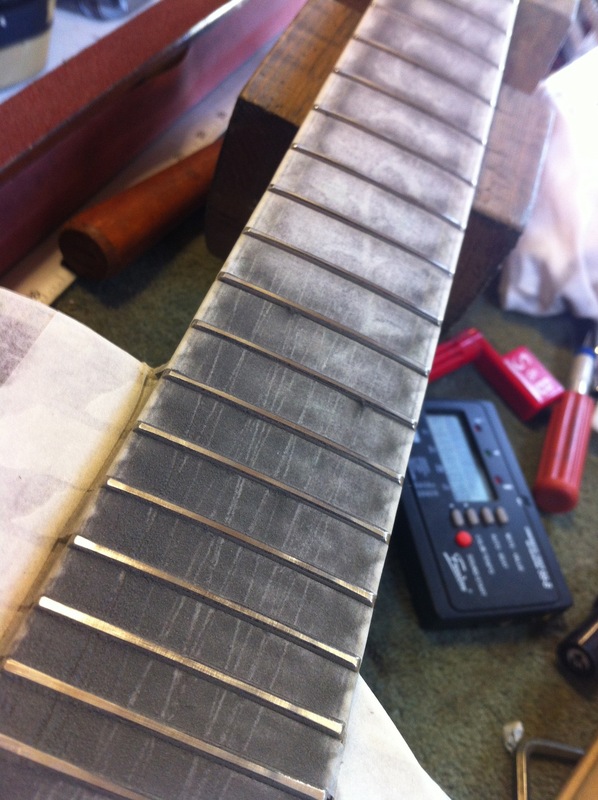 This guitar required a full fret dress to eliminate some fret buzz on the lower frets and to get the action down low. Out of the box the guitar had quite high action, around 4mm at the 12th fret. Very nice guitar to play. If I had to improve the guitar any I would upgrade the stock bridge to something a little more heavy duty such as Gotoh.